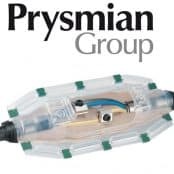 Prysmian cable cleats, joints, glands and connectors for terminating and jointing cables including low, medium and high voltage cables. Cable cleats are available in a selection of materials including nylon, aluminium (epoxy coated) and stainless steel to suit all industrial environmental installations – providing short circuit fault current protection to low, medium and high voltage cables installed in single, multiple, trefoil and bundled formation to cable containment. 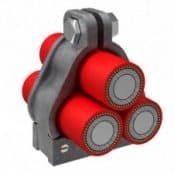 Prysmian manufacture a complete range of cable support and fixing systems including two-bolt, hook, claw and the Multicleat cable cleat system specified to support LV-HV power cables with short circuit peak current up to 184kA. Cable accessories including resin cable joints are essential components for ensuring the safe distribution of low voltage power supply – there is a complete range of jointing kits available for connecting and repairing standard armoured power cables and specialist application joints for cables including fire resistant, low smoke zero halogen and hydrocarbon resistant for use in hazardous area locations, such as Zone 1 and Zone 2 explosive atmospheres. 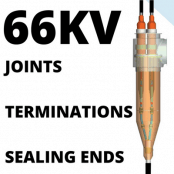 To ensure the reliable electrical termination of all types of armoured, braided or unarmoured cables up to 33kV cable glands provide mechanical cable retention and effective earthing of armour for safe power systems – glands are available in brass, aluminium and nickel plated for meet industrial requirements with international hazardous area certifications including ATEX and IECEx for flameproof and explosion proof applications. 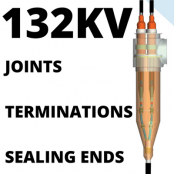 Prysmian separable connectors are suitable for a wide range of applications including connection to transformers, switchgear units and motors and can be used in both outdoor and indoor locations, 11kV-33kV. 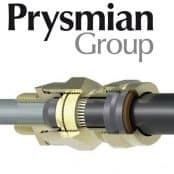 Prysmian cables and installation accessories support electricity power distribution in oil and gas, offshore, hazardous areas, rail, construction and utilities industries. Thorne & Derrick provide competitive prices and fast delivery from stock for the complete range of Prysmian cable cleats, joints and glands.